My kids are good sleepers! I am not saying this to brag, we definitely go through phases of sleeping problems. 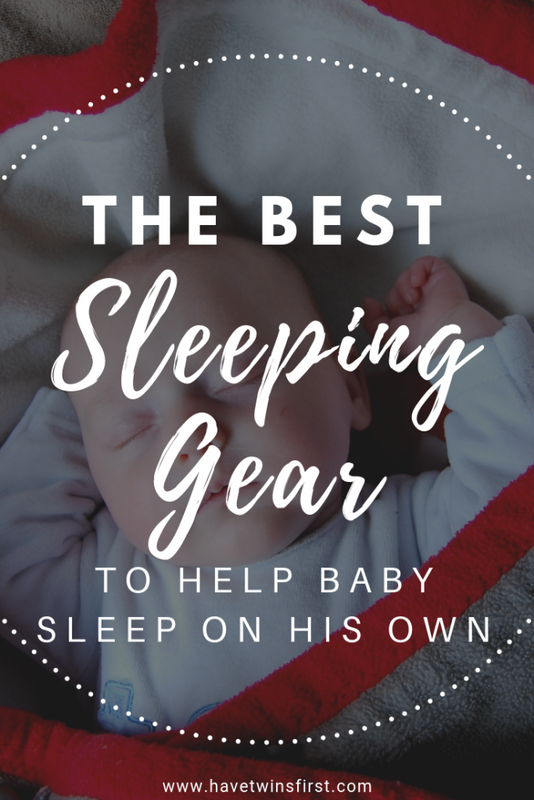 But, since all three kids are pretty good sleepers, I thought it would be useful to share the gear we use to make baby sleep on his own. 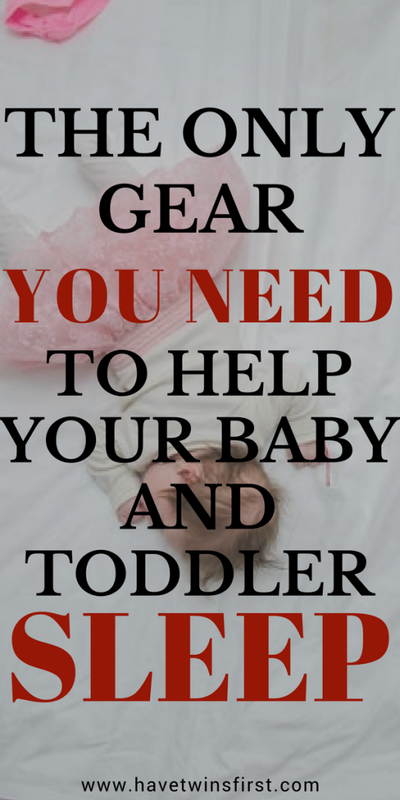 Not only is this gear great to help your baby sleep, but most of it you can use through the toddler years. 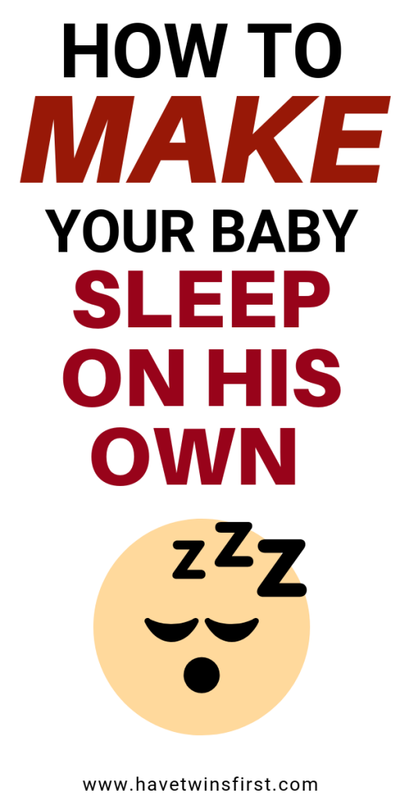 Baby sleeping gear alone will not magically turn your child into a good sleeper, but having it will help you get there. Check out the baby sleeping gear I recommend below. 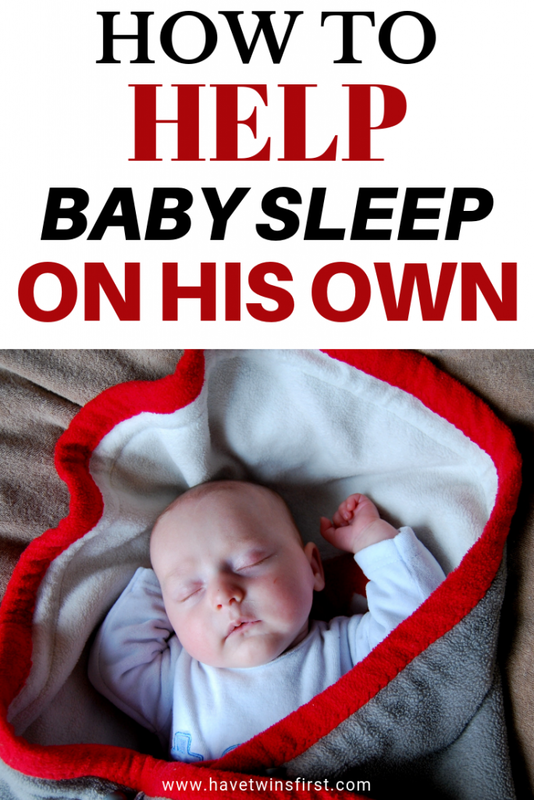 Then, check out the rest of our posts on baby sleep to find out how to effectively use it and make baby sleep on his own. Finally, all the sleeping gear recommended I have personally used, so I know it works well. Check out the list and I hope you find it helpful. Please note, there are affiliate links in this post. Read my disclosure policy to learn more. I often hear parents say their babies hate to be swaddled. Well, I also thought one of my twins hated swaddling as well. She would fight us when we would swaddle her and break out whenever possible. I had given up on it. She was colicky at 2 months old and we were lost at how to get some sleep. We remembered a friend had given us the DVD “The Happiest Baby on the Block“, so we watched it. This DVD tells you that swaddling is very important, even if your baby doesn’t seem to like it. We took this advice, and for J, once we figured out how to get her to sleep better (see the baby swing below), she slept longer if she was swaddled tight. This was great for transitioning away from swaddling. Another thing that I use it for is transitioning from a bassinet with small sleeping quarters to sleeping in a crib with much larger sleeping quarters. If this transition happens after your baby is done with swaddling, the Baby Merlin Magic Sleepsuit can be a big help. After the baby grows out of the Merlin sleepsuit, I like to use sleepsacks. They keep your baby warm and give you a safe way to have a “blanket” on your baby. Sleepsacks are also available in toddler sizes and we continued using them until approximately 2.5 years old. I would have continued even longer, but one night one of the twins just decided she didn’t want to wear it anymore, and that was the end of that. A few nights later her twin sister followed suit. Two huge bonuses for using sleepsacks with toddlers are they prevent your toddler from removing his diaper and from trying to crawl out of the crib. This swing was a lifesaver with both J and M. There was a one month time frame where this was the only thing they would sleep in at night. I bought it used from a Facebook swap site and it was well worth the $35 investment. It is not absolutely necessary to get a crib that converts to a toddler bed. But, I thought it made the transition out of a crib easier because the toddler bed still resembled the look of their crib. A tip for switching your child to their big kid bed; I showed my kids photos on my phone of what their new bed would look like. This made it more exciting and something to look forward to. Each kids bedroom has a sound machine in our house that is still used to this day. It is so helpful to drown out noises elsewhere in the house at bedtime. We also take the sound machines when we travel for the same reason. As babies, the twins liked the “ocean” sound. I found it interesting that M just didn’t like “ocean”. Luckily, there are options on our machines and he enjoys the “rain” sound for sleeping. This is another item we still use. I imagine we will continuing using nightlights in the kids room for quite a few years to come. Now that the twins are 3, it helps make them feel comfortable at night to be able to see. As babies, it’s nice for the parents to have a nightlight so they can see if they need to go in the baby’s room after dark. I like pacifiers because they give you an extra option for helping your baby get to sleep. While not necessarily related to sleep, they are also convenient if your baby is fussy when you are traveling or running errands. One tip for pacifiers, after your baby is 6-9 months old, it can be useful to put more than one in bed with them at night. If your baby wakes up and his pacifier has fallen, he will cry. You will have to get out of bed, find the pacifier (not always easy), and give it back. An extra pacifier provides a little insurance for a full night’s sleep. As far as taking pacifiers away when your children get older, this is definitely something we held off on doing. The twins slept so well with them, so I waited as long as possible to take them away. S started biting her pacifier at 2.5 years old. This was a choking hazard, so the decision was made for us by S. Luckily, there is a really easy 3 day method to kick the pacifier habit, read about it here. Incorporating a story before bed is a great way to establish a bedtime routine. It’s fun for your kids and educational! Check out these 100 best books for babies and toddlers for some wonderful book recommendations. Looking back at the list, I thought it was interesting that there are quite a few items we are still using today for our 3 year old twins. Lastly, a piece of advice for your kids and sleeping. It is so important to have a bedtime routine with your children. If you have not established one, start working on it. I guarantee bedtime will become much easier. Kids do really well when they know what to expect. Even though a routine is great, sometimes it can get stale. If you have a routine and bedtime is still a struggle, I have found it helpful to change the routine a little bit to get back on track. I don’t mean to go and change everything you do before bed. Try changing just one or two things. I know this has worked in our household on more than one occasion. 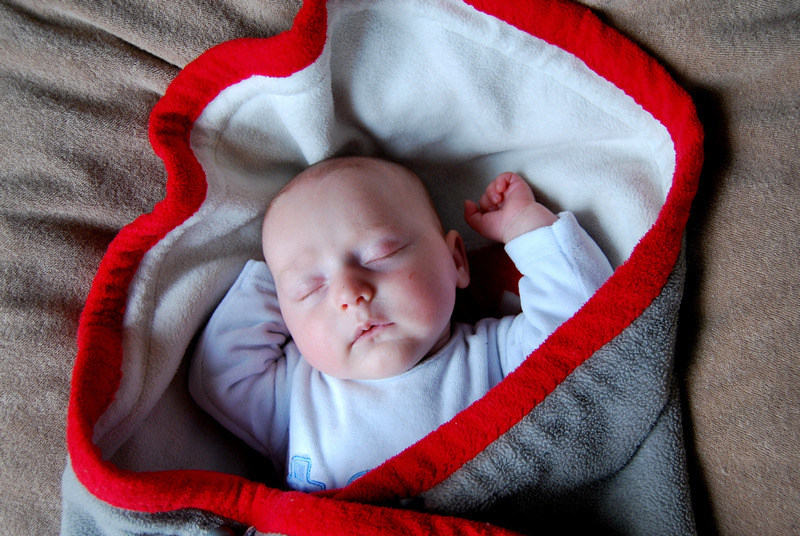 If you are looking for more tips on baby sleep check out the rest of our posts on baby and toddler sleep. If you found this post helpful please share it on Pinterest or Facebook. Bleeding In First Trimester Pregnancy – When To Worry? Win A $25 Virtual Visa Gift Card!